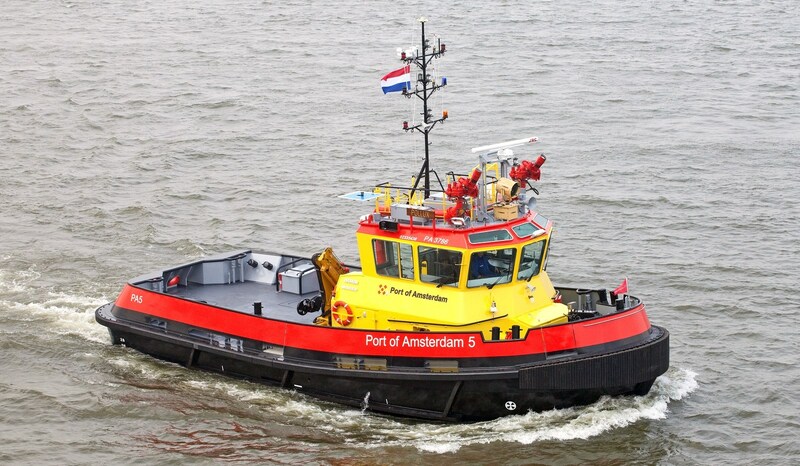 The Stan Tug 1907, named "Alexandra" has been delivered to the Portfleet 99 in Bulgaria. Stan Tugs 1907 "Agoy" and "Dedal"
Two Stan 1907 Tugs, 'Agoy' and 'Dedal', were delivered to the Tuapse Commercial Seaport. 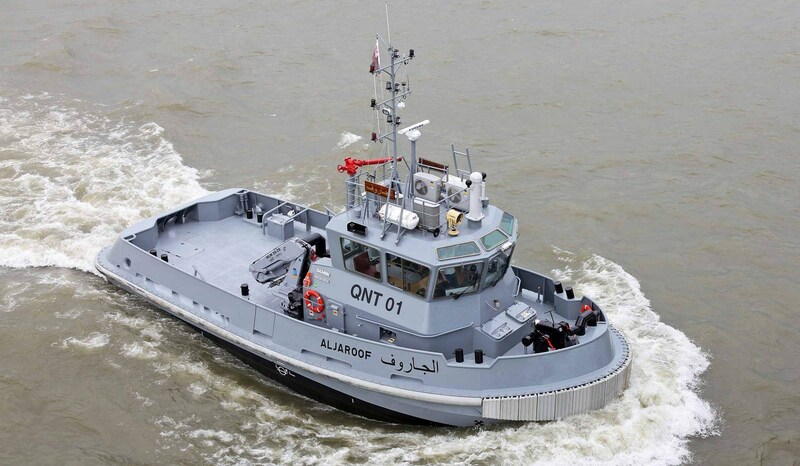 Thirty years after their first Damen vessels entered into service, the Qatar Emiri Naval Forces recently added two Damen Stan 1907 Tugs to its fleet. 'Athena', a newly built surveillance/workboat for the Port of Amsterdam has a variety of duties within the port such as patrolling, towing and fire-fighting.